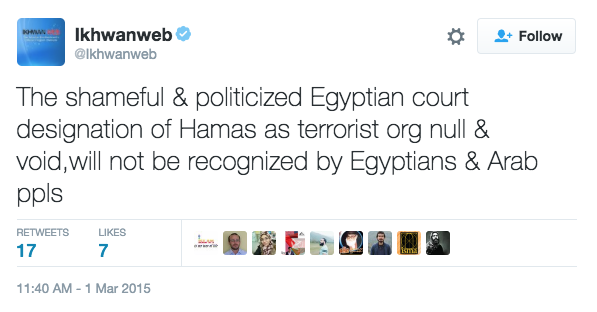 Despite its pledge to “curb hate speech,” Twitter has officially verified the English account of the Muslim Brotherhood on their platform, giving a sense of validation to the organization closely aligned with extremist terror groups. On Saturday, Twitter issued the blue checkmark to the account “@Ikhwanweb” which declares itself as the “Official Twitter of the Muslim Brotherhood.” Because of its influence on jihadists worldwide, many countries have deemed the Muslim Brotherhood as a terrorist organization. The Muslim Brotherhood is a multinational Islamic organization that identifies itself as a religious, political, and social movement that promotes Sharia law as “the basis for controlling the affairs of state and society.” While the group itself says that they condemn acts of violence to spread their messages, terror groups such as Hamas have been influenced by them to carry out jihadist attacks. 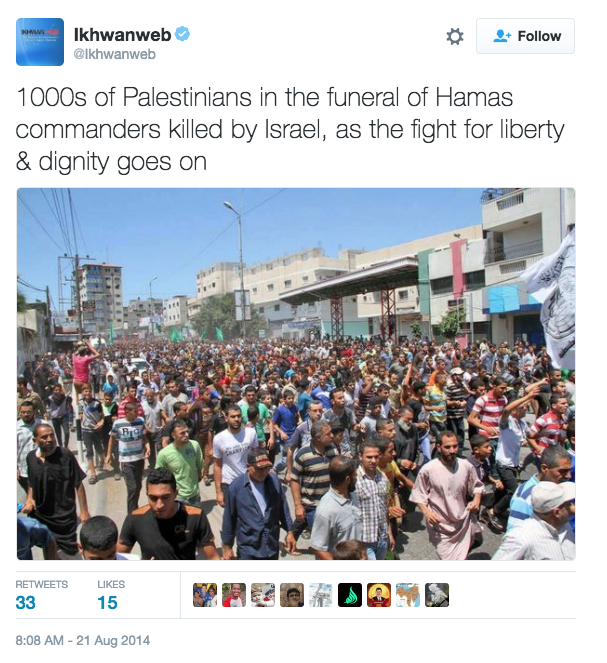 The @ikhwanweb Twitter account has openly shared its support and alignment with Hamas, the Palestinian terror group that pledges to destroy Israel. Twitter has not spoken out about why they chose to issue the checkmark to the Islamic group because of their policy on refraining from commenting on matters involving individual accounts. Despite issuing a bit of legitimacy by giving the verified badge to the Muslim Brotherhood, a group who supports Islamic Extremists that commit violent acts in the name of Allah, Twitter has recently implemented new measures to try and combat “hate speech,” a problem they say has only gotten worse as political tensions increase. Harvey, who despite being an employee of the company does not of a verified checkmark of her own, has expressed excitement on the platform for the upcoming anti-abuse initiatives. In April, Twitter made a motion to crack down on hate speech by deleting thousands of accounts linked to Hamas and other terrorist organizations. Islamic extremists have not been the only ones that have felt the wrath of the crackdown, however. Many other outspoken political figures have as well. In July, Twitter permanently suspended the account of Milo Yiannopoulos, a gay conservative who is a Trump supporter and writer for Breitbart after Twitter claimed his tweets incited violent and hateful rhetoric towards Leslie Jones, an actress in the Ghostbusters reboot.